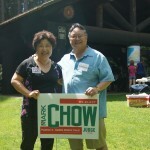 Originally elected to the King County District Court in 1990, Judge Mark Chow has served six terms on the court as the first Asian-American in the State of Washington to win election to district court. Born in Seattle, Judge Chow continues his family’s legacy of community service by presiding over fair and equitable court system. "Judge Mark is just like his mother, Ruby Chow. He has been a vital voice for the Asian community in King County and we need him back in his judicial robe and bench. I enthusiastically endorse Mark." - Rep. Cindy Ryu, 32nd Legislative District, first Korean-American mayor in USA. As a judge, he is dedicated to ensuring that all residents who enter King County courts walk away feeling that they were treated fair. Court rules are meant to be applied fairly to all sides and Judge Chow ensures equitable access to justice. He understands our communities, from diversity to economic differences. He supports access to services for all residents, and is vigilant that they are provided. He is vigilant when enforcing laws of equality, ensuring that all Washingtonians have a fair standing and all laws are followed. As an active participant in the District and Municipal Court Judges’ Association, Judge Chow was instrumental in developing education curricula on gender and diversity issues through the education committee. Under his leadership, Judge Chow institutionalized a program of study in Judicial College for new judges. It was the first educational curriculum on gender and diversity issues established for judges. Born in Seattle, Judge Chow was employed at his parent’s restaurant, Ruby Chow’s, where he learned the value of hard work and family. His parents taught him the importance of working hard at all times and serving our community with pride. Judge Chow continues his family’s legacy of public and community service. He is not satisfied with the status quo, but works to create improvements within the judicial system that will help people and provide services to the community. Among his accomplishments, Judge Chow presided over one of the nation’s first courts to offer an alternative for those with mental health issues. King County’s Mental Health Court was a pioneer in reducing the criminalization of the mentally ill as it focused on keeping communities safe. With Mark’s help, the court instituted the therapeutic belief that crime can be prevented by means other than simply jailing the mentally ill. This helped reduce recidivism and was responsible for cutting jail time for one class of inmate by 80%, saving untold tax dollars and restoring lives to a productive place in society. Elected to the King County District Court for six consecutive terms, Judge Mark Chow is the first Asian-American in Washington state to win election to district court. Judge Chow has worked as an attorney in private practice, as legal counsel to the Office of the Mayor of Seattle, and Deputy Prosecuting Attorney for King County. He helped found one of the nation’s first courts to offer an alternative to sitting in jail for those with mental health disorders. King County’s Mental Health Court was a pioneer in reducing the criminalization of the mentally ill as it focused on keeping communities safe. Outside the courtroom, Judge Chow speaks at educational institutions and judicial conferences facilitating subjects involving mental health, and domestic violence issues. Additionally, he was invited to help create mental health courts in Washington, D.C., Texas, Tennessee, Hawaii, and cities across the country. Moreover, Judge Chow frequently speaks to groups of students learning English as a second language (ESL) about the framework of the American legal system. Judge Mark Chow is proud of his family’s accomplishments. As the first Asian-American elected to the district court bench in the State of Washington, Mark strives to continue the hard work and values his family espouses – a family that believes public service is one of life’s highest callings. As a Deputy Prosecuting Attorney for King County under Prosecutor Norm Maleng, Mark gained valuable trial experience prosecuting the county’s offenders, including felonies such as assaults, burglaries, and thefts, as well as DUI, immigration and domestic violence cases. It was during this time Mark was inspired to work toward the goal of achieving the position of King County District Court judge. As legal counsel to the Office of Mayor Charles Royer, Mark was liaison to all city departments. He oversaw operations for Criminal Defense Systems which account for 75% of budget allocations, including police, jails, courts, prosecutors, and law-enforcement. Mark assisted in a successful citywide campaign to make departments in government more responsive to the needs of children and families. King County’s Mental Health Court was a pioneer in reducing the criminalization of the mentally ill as it focused on keeping communities safe. With Mark’s help, the court instituted the therapeutic belief that crime can be prevented by means other than simply jailing the mentally ill. Many courts across the country sought his advice when creating their own. When Mark’s sister, Cheryl, a former Seattle City Council and School Board member, was married to her longtime partner, it was one of the happiest moments of his life. He continues to preside over marriages in King County, bringing families of all types together.